My final animation class has ended allowing some free time to animate a Watchcat Holiday episode to send off to friends and family as an animated Holiday card to end 2016 in a fun way. I installed a 21 day trail version of ToonBoom Harmony 14 with a goal of documenting this production and show more about the animation process using Harmony. To begin with, I made this animatic with final voices and sound effects as a QuickTime file imported as a movie into Harmony . The bottom layer holds the animatic which I will use to keep my scenes in sync. The layer above holds a white background until I create a final one. The layer above the BG is where I will create my rough poses. wc03_rough_sc01 from WatchCat Films on Vimeo. There is only about 6 scenes in this project and I've designed it so that after one shot, the camera will pull away from one setup to reveal something that is happening in the foreground or in the background. 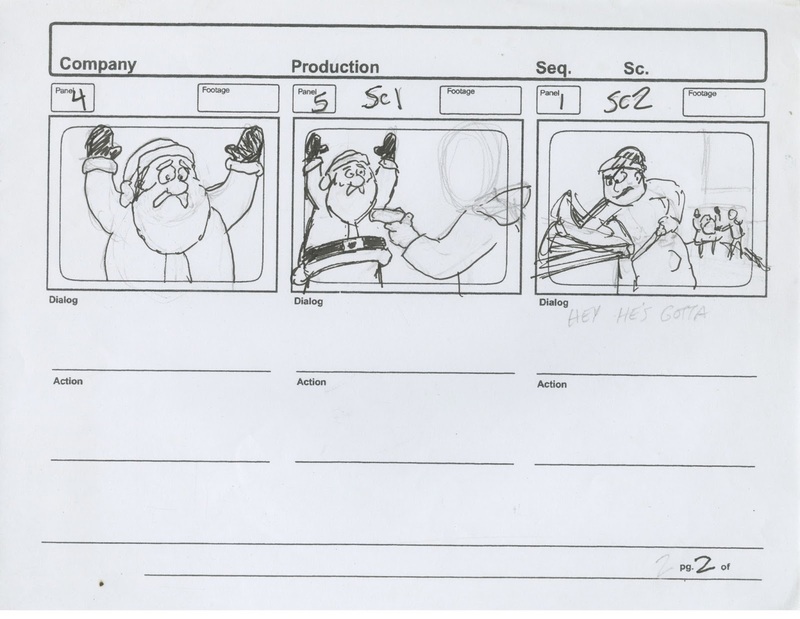 You can see the animatic in previous a post entitled "Making Christmas". those drawings are both attached to Pegs. Harmony allows you to create different layers by clicking on the + button near the timeline and by holding it down, you will see other layers to choose from. Peg (ctrl + P) allows you to attach a layer and then move the peg, everything on the layer moves with the peg. 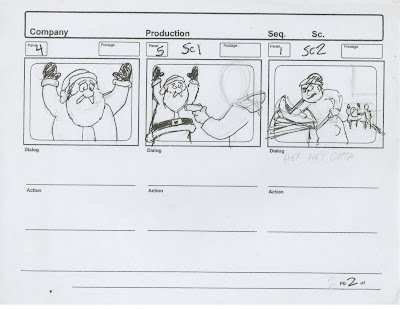 In this case, Santa and the Robber move away from us on the Z axis. By clicking on the peg twice, Harmony opens a control panel showing the Key frames on a graph line. You need to determine which frame you want to set a Key on by clicking on +KF button. The -KP will remove a Key on the timeline. You can add ease ins and outs to each XYZ avis with the Velocity editor which is shown in the video below. Watch this short video to see how it all works and where everything is located. Tutorial Harmony 12_01 from WatchCat Films on Vimeo. Each scene is a separate Harmony file that you will export a separate video file. Each file is then imported into an editing software program like Premiere or Final Cut Pro.